I love belated birthday cards. I’ve been binge watching The Mentalist. I recommend it for trying to avoid serious contemplation. It’s mindless fun but with a plot you have to follow so you can’t think about other things if you want to try to figure out who the bad guy is. Except that you never can because Patrick Jane has noticed a cat hair on the collar of a person in the other room and that is the one piece of evidence needed to know the solution. And it’s kind of funny. What more do you need? If you do need something more, then there is something else I’m getting from the show. The two main actors are older than me. They will always be older than me. And that’s a great birthday gift. 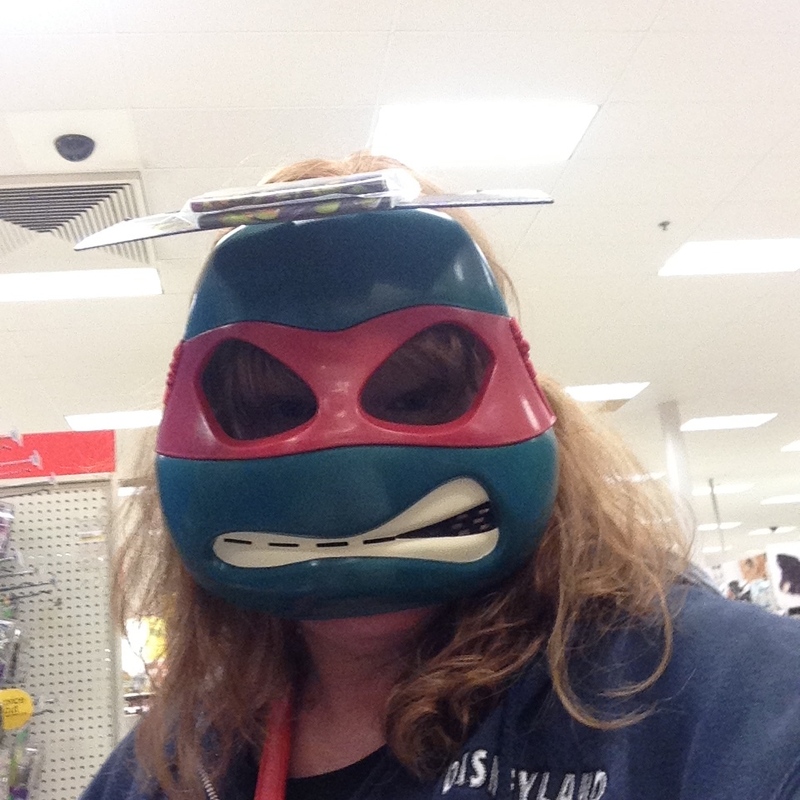 I need that TMNT mask with a perma-grimace. I hope your birthday is peaceful and lovely. You deserve it. Thank you so much. I wish I could go around with masks every day. But my kids’ friends may not be allowed over anymore. I’m older than you, too. So there’s that.